Harmony Road series – this curriculum consists of four books – each used for an 18 week semester 55 minutes weekly. The materials are specifically designed for preschoolers (ages 5 to 6) and their parent/caregiver in a group setting. The class environment provides a dynamic space where children, teacher, and parents enjoy learning and making music together. This opportunity to share music is especially important – not only musically but also for the child’s social and emotional development. 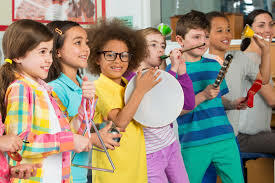 Activities are designed to develop the whole child musically with singing (words and solfege), movement, rhythmic activities, keyboard/piano solo, and ensemble playing, note reading and games, and creative projects.